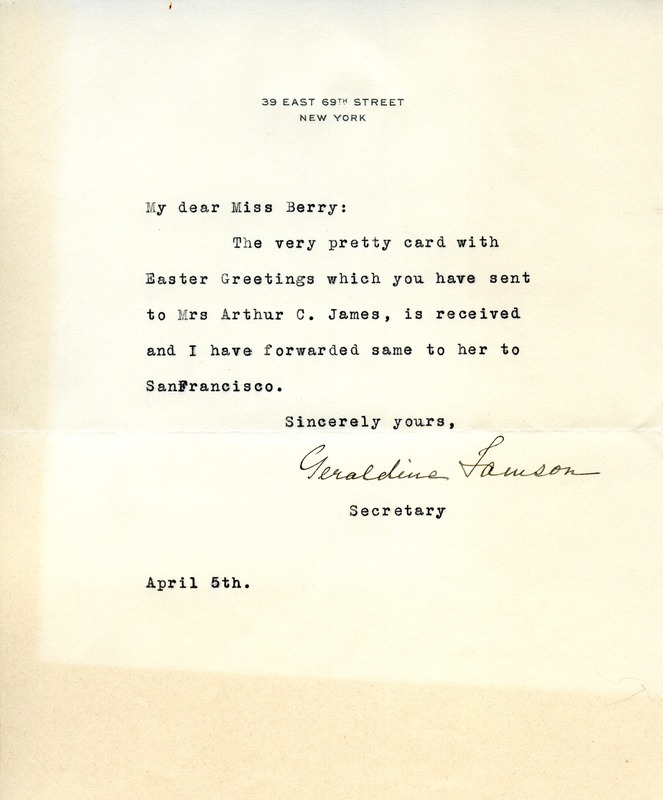 A letter to Martha Berry from Geraldine Lawson, the secretary of Mrs. Arthur C. James, informing Miss Berry that Mrs. James has recieved her Easter Greetings card. Miss Geraldine Lawson, “A Letter to Martha Berry from Geraldine Lawson.” Martha Berry Digital Archive. Eds. Schlitz, Stephanie A., Adriana Spencer, et al. Mount Berry: Berry College, 2012. accessed April 20, 2019, https://mbda.berry.edu/items/show/8071.